As one of the most advanced nations, it might be shocking to hear that much of the United Kingdom is not part of the connected digital world. It has recently been reported that about 12 million adults across the UK do not have the ability to complete five basic online tasks. To see this visually, look at the heat map generated from the study. This study looked at if individuals possessed basic skills including managing information, communicating, transacting, problem-solving and creating. The data in this report has been integrated with several social indicators and mapped by Go ON UK. It was based on polling by Ipsos Mori of around 4,000 people aged 15 and older in the areas of Great Britain and Northern Ireland. 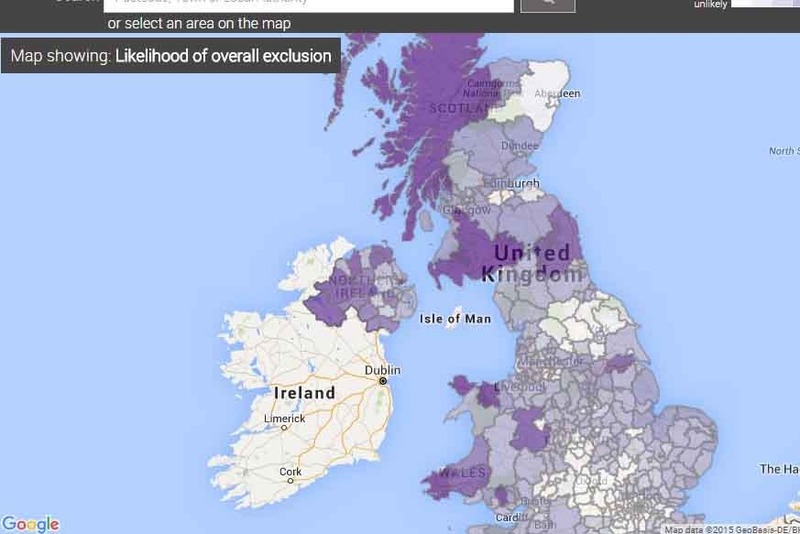 “The Go ON UK Digital Exclusion Heatmap is a wake-up call. It shows clearly how social and digital exclusion are closely related. The lack of basic digital skills and access in already disadvantaged areas is likely to lead to an increase in inequality of opportunity around the UK,” stated Ellen Helsper, associate professor at the London School of Economics. Mrs. Helsper developed the map methodology for this report. Certain regions across the UK have citizens who demonstrate less skills to make them ready for the digital world. For instance, The report found that 84% adults in London are the most likely to have the ability to perform all skills, followed by 81% in both Scotland and East Anglia, while Wales had the lowest proportion of digitally skilled adults, coming in at 62%. Other interesting insights derived from the study include that nine out of 10 people are able to perform tasks such as using a search engine, sending an email, sending an instant message, and buying items online.Yet, it also found that 27% of people can not buy and install apps. The most shocking finding is that 28% cannot solve problems using online help. The study is concerning as digital penetration will only increase in the years to come. As one of the world’s most powerful nations, the high percentage of those digitally inept citizens can be seen as a weakness. What should the UK government do to solve this dearth of technological skills? It should educate, engage, and entertain. Integrate technology into educational curriculum so as to avoid this skills gap in the future. Engage citizens in technology initiatives. For example, Singapore’s Fest of Tech activities engaged artists and techies alike in a presentation of innovative creativity. Lastly, the UK government must entertain the masses. Getting them to want more technology in their daily lives and processes. By generating interest in technological solutions, the UK government will spur greater science and technology research and innovation. That is how the country will move beyond these statistics and forward in the digital age.